Order Fairtrade organic cotton aprons. Plain or with your own design. Aprons made from fair trade organic cotton for catering, cooking or craftwork. Plain or with your own design. Choose screen print, digital print or embroidered to suit. 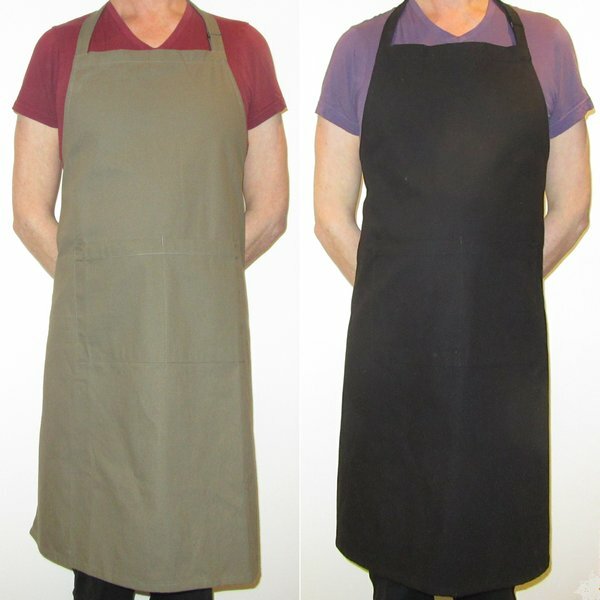 Adult aprons with a double front pocket. Made from 270gsm cotton with adjustable strap for best fit. Order aprons by contacting us.